After years of data collection and technology development, Beijing Voogolf officially announces the releasing of its new product designed for international market. Therefore it truly becomes a global favorite. 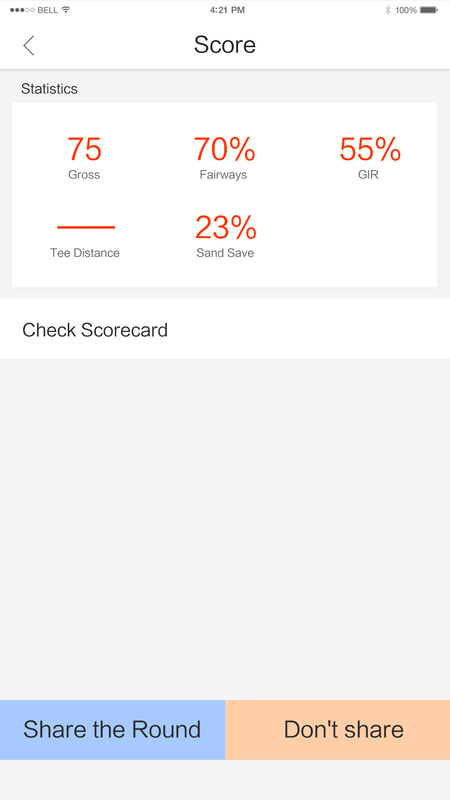 As the earliest professional golf App in China, Voogolf has gained universal reputation among golfers and golf business. Many players who have used it regard it as the best. The English version will provide scoring and ranging service to more golf fans around the world and make golf a more convenient, more visualized, more accurate and more interesting experience. Move the location point on fairway GPS, and the real-time distance would be indicated by a number whose error is less than 3 yardage. Entering the gross, putt, penalty of each hole and Voogolf will analyzing GIR, tee hitting rate in seconds. Record the position, club type and penaly of every shot, and finally present you a visualized trajectory chart. Record the detailed information of every round and make your game more wonderful. How many Awards have you earned? Different awards has different meaning. Analyzing detailed data of all rounds and present you in a visualized way to help you improve personalized practice. Voogolf would be your most contributive caddie whether you are a professional player or not. You can download VOOGOLF freely in App store and experience the fashion of golf with worldwide players.